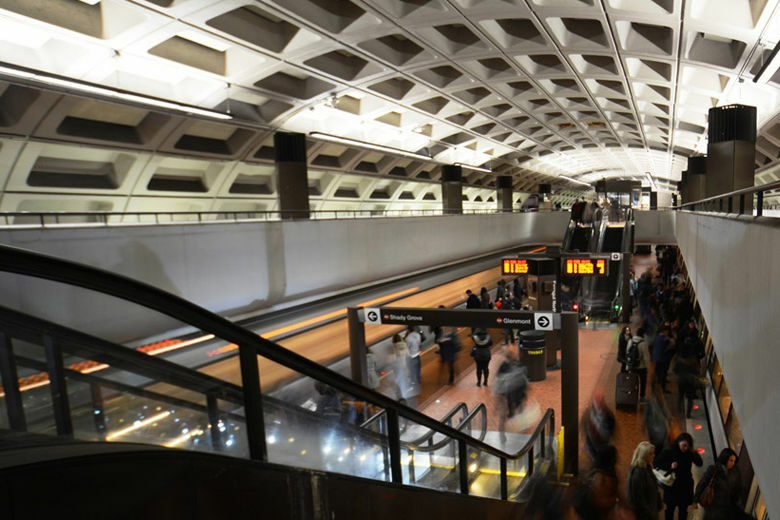 WASHINGTON — Major Metro track work, the Rolling Thunder run and Memorial Day parades across the region will impact travel this holiday weekend. Around the National Mall, the annual Rolling Thunder First Amendment Demonstration Run draws thousands of motorcycles and onlookers Sunday, with additional traffic and closures around the Pentagon. On Monday, the National Memorial Day parade marches down Constitution Avenue Northwest, and other local parades are held across the region. Some city and town parades are also held on Saturday or Sunday. Metro runs Sunday service on Memorial Day, which means trains only run from 8 a.m. to 11 p.m., and weekend track work continues. Parking is free on the holiday at all Metro lots, and Metrobuses will also run on a Sunday schedule. MetroAccess subscription trips are canceled Monday, but riders can make separate reservations. Other transit systems across the region also run reduced or no service Memorial Day. There are no MARC or VRE trains on the holiday. MARC’s Penn Line runs regular weekend service Saturday and Sunday. Only Metro’s Green Line has no scheduled track work Saturday, Sunday and Monday. On the Red Line, there are no trains between Van Ness and Dupont Circle. Cleveland Park and Woodley Park stations are closed Saturday, Sunday and Monday. Shuttle buses between Van Ness and Dupont Circle will stop at each of the closed stations and at the entrance to the National Zoo. Due to the shutdown, the last inbound Red Line trains leave stations between Shady Grove and Tenleytown 25 minutes earlier than usual Saturday, Sunday and Monday. The last outbound trains from Van Ness to Shady Grove will depart 35 minutes later than usual. Red Line trains outside of the shutdown area are scheduled every 10 minutes during the day between Dupont Circle and Glenmont, making the east side of the line or Green Line stations the best option to get downtown for riders who typically go to Shady Grove. The Orange, Blue, Yellow and Silver lines are scheduled every 24 minutes each this weekend. Blue Line trains are scheduled to run only between Franconia-Springfield and Eastern Market, which means only Silver Line trains will be available to and from Largo Town Center. Single-tracking on the Blue, Orange and Silver Line tracks is between Eastern Market and Stadium Armory. Single-tracking on the Blue and Yellow lines in Virginia is between Reagan National Airport and Braddock Road.